Permafrost and thick rock ensure that the seed samples will remain frozen even without power. The Vault is the ultimate insurance policy for the world’s food supply, offering options for future generations to overcome the challenges of climate change and population growth. It will secure, for centuries, millions of seeds representing every important crop variety available in the world today. It is the final back up. 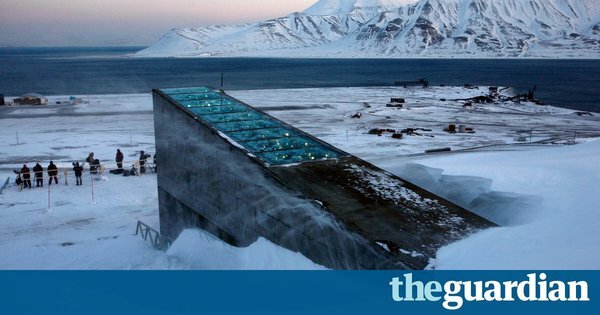 • The Vault is well above sea level, protected from flooding. • The permafrost offers natural freezing, providing a cost effective and fail-safe method to conserve seeds. énorme. auto-trollage de grand art. Ça existe depuis des décennies les conservatoires de semences, comme à Saint Petersbourg, l’un des meilleurs du monde. On garde les semences, on en resème un peu, on garde la récolte, on en envoi aux 4 coins du monde pour faire pareil, on renouvelle. Pas besoin de méga frigo, juste un peu.